Family charters are becoming increasingly popular. But what are they, and what can they do to enhance your business? There is an amount of uncertainty surrounding family charters, but their basic nature is easy to understand and they can be a real journey for a family business in the process. Essentially, the family charter supports other governance structures and legally binding agreements within the business, such as the business plan and the shareholders agreement. It also covers areas that will help to establish a framework for addressing the different roles that family members have within the business. In fact, there are a number of alternative terms in common use, including family constitution, family creed, family agenda and family continuity plan. However, more important than the name is the content and what it can do for the family business, ironing out some of the grey areas, providing a framework for the family going forward, and helping those not involved in the day-to-day running of the business keep in touch and make sure that their views are heard. The family seeks to leave a legacy that reflects pride in the business, recognising the contribution that the family has made to the local community, and portrays the family in a positive and respected manner. The family seeks to encourage the education of succeeding generation, formally and informally, socially and academically. The family will continue to inform and educate the next generation about the business an offer work experience opportunities as a matter of course. In recognition and appreciation of the enormous contribution to the business made by the founders and the previous generations, the family will use best endeavours to ensure the history is maintained for future generations by means of an ongoing documented record of the family's involvement in the business. Crucially, the family charter is not plucked fully-formed out of nowhere. A key part of its benefits are not simply in using the document going forward, but in the process undertaken by the family in the creation of the document in the first place. It provides an invaluable opportunity for all stakeholders to address the bigger picture, and to discuss aspects of the family business which might never otherwise be addressed in a day-to-day context. Determining the collective views of the family and what they want for the future can be a very powerful exercise. The discussion provides an invaluable forum for different views to be aired, and ultimately a strong consensus of opinion can be obtained. 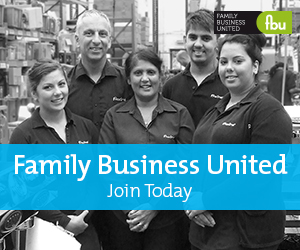 This results in greater buy-in to the family business by all concerned. The family journey of discovery sets the foundations for the future and is seen by many as more important than the written document itself.